After an eventful first game at the home ground, Chittagong Vikings now face the Rajshahi Kings in a rematch of the Dhaka leg, where the Vikings stood their ground. Both Vikings and Kings are firmly in the running for the playoff spots with Vikings way ahead of the former. They have ridden on the performances of captain, Mushfiqur Rahim and Robbie Frylinck and would want both of them to come good again against a rejuvenated Kings side. The Kings have been sensational in the death overs with Laurie Evans and Mustafizur Rahman doing the damage. In what seems to be battle of the equals on paper, this match is sure to have a telling effect as the playoff race is taken to another level. After a good run of games, Vikings have settled on a dependable group of players and should play the majority of their regular players. Yasir Ali and Mohammed Shahzad have been good in patches and more is expected of them if they are to combat Mustafizur Rahman and Mehidy Hasan in Chittagong. Possible XI: Raza/Delport, Shahzad (WK), Yasir, Rahim(C), Mosaddek, Zadran, Frylinck, Nayeem, Khaled, Abu Jayed and Sunzamul. Possible XI: Evans, Fazle, Sarkar, Zakir(WK), Jonker, Ten Doeschate, Mehidy(C), Kamrul, Qais/Udana, Sunny and Mustafizur. Wicket-keeper: Mohammed Shahzad is the ideal choice as a wicket-keeper, with the burly Aghan getting the Vikings off to good starts but not continuing to make a big one. A big innings is due for him and the match against Rajshahi presents an ample chance for him to do so. Batsmen: Mushfiqur Rahim and Laurie Evans are useful players to have with both of them contributing heavily in the previous fantasy matches. Delport has been busy with bat and bowl while Evans is the only player to have scored a hundred this season. Either of Najibullah Zadran or Yasir Ali would also be viable selections to the fantasy side along with Soumya Sarkar. All-rounders: Mehidy Hasan Miraz has fallen off the radar after performing well with the bat in the first half of the tournament. His bowling hasn't come off yet and with the presence of Delport and Yasir Ali, who have struggled against spin, he could be a clever option. Mosaddek Hossain is also another handy option with his pinch-hitting on show against the Kings in their previous meeting. Bowlers: Mustafizur Rahman, Kamrul Islam, Robert Frylinck and Abu Jayed are the four bowlers you would want in your fantasy team. Frylinck and Mustafizur have been the standout bowlers in this tournament using their clever variations. Frylinck's finishing ability makes him an invaluable asset to any side. Khaled Ahmed and Arafat Sunny are also options available to fantasy players instead of the aforementioned four. Captain: Mushfiqur Rahim and Laurie Evans are the obvious choices with their penchant for boundaries and big scores. Other options include the likes of Robbie Frylinck and Ryan Ten Doeschate who could have a say in this crucial match. 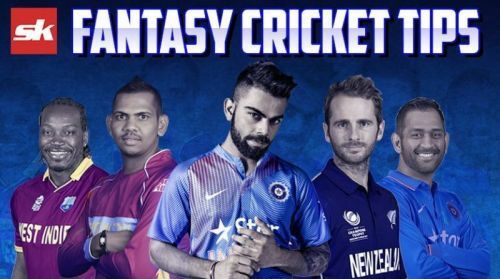 Fantasy Suggestion #1: Mohammed Shahzad (WK), Najibullah Zadran, Mushfiqur Rahim, Soumya Sarkar, Laurie Evans, Mehidy Hasan, Mosaddek Hossain, Mustafizur Rahman, Robert Frylinck, Abu Jayed and Arafat Sunny. Captain: Mohammed Shahzad.